Tiwari SK., Van der Puten B., Vinh TN., Bootsma M., La Ragione R., Matamoros S., Ngo Thi H., Berens C., Leng J., Alvarez J., Jolivet D., Ferrandis-Vila M., Ritchie J., Fruth A., Schwarz S., Dominguez L., Ugarte-Ruiz M., Bethe A., Wieler LH., Ewers C., Fivian-Hughes AS., Menge C., Schultsz C. and Semmler T.
Microbial Genomics. Robert Koch Institute (RKI). Department of Global Health-Amsterdam-Institute for Global Health and Development. Department of Medical Microbiology. Academic Medical Center. 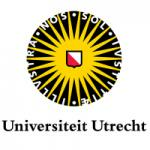 University of Amsterdam. Clinical Research Unit. University of Oxford. Nuffield Department of Medicine. 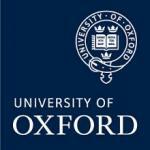 University of Oxford. Institute of Molecular Pathogenesis. Friedrich Loeffler Institut-Bundesforschungsinstitut fuer Tiergesundheit (FLI). Enteropathogenic Bacteria and Legionella. Robert Koch Institute (RKI). Institute of Hygiene and Infectious Diseases of Animals. Justus-Liebig-Universität Gießen (JLU). 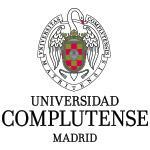 AUTHORS: Tiwari SK., Van der Puten B., Vinh TN., Bootsma M., La Ragione R., Matamoros S., Ngo Thi H., Berens C., Leng J., Alvarez J., Jolivet D., Ferrandis-Vila M., Ritchie J., Fruth A., Schwarz S., Dominguez L., Ugarte-Ruiz M., Bethe A., Wieler LH., Ewers C., Fivian-Hughes AS., Menge C., Schultsz C. and Semmler T.